In collaboration with Ecotone Studios, we are thrilled at the outcome of the Eagle Rock South Project. Striking horizontal planes of concrete stripping race diagonally toward horizontal Accoya fencing. 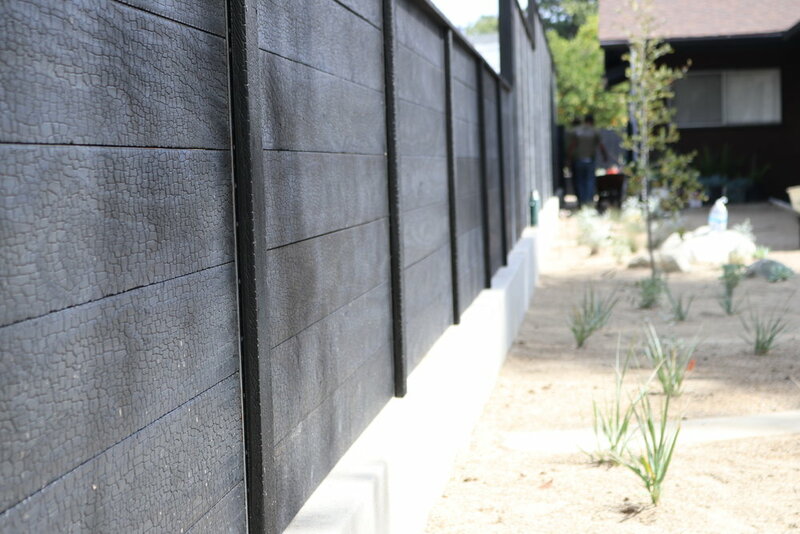 Torch-blackened, horizontal wood fencing stands as a back drop to native toyon and oak species. Echeveria playfully hide and gather next to large boulders while exposing their chalky mint colored leaves to the warm sunlight. Orco block, painted jet black, keeps your eye focused on the intricate plantings next to the spa and entertainment area. A truly striking landscape.